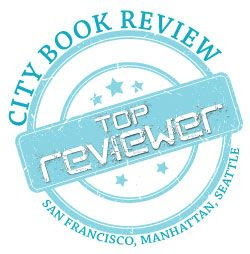 Book News: Bookstore Customer Profiling, Powells is Eternal, Best Video Games For Readers & More! One cool thing to come out of Comic-Con was a bidding war for Patrick Rothfuss’s epic The Name of the Wind. If you’re really into both reading and videos games, here are some entertaining games you might want to check it when you put that book down. Here are 20 things annoying people say to readers and those who love books. If the author on the cover doesn’t grab you, then the wonderfully evocative title should. For fans of Rothfuss who are waiting for the third volume of The Kingkiller Chronicles, you may be a little surprised with The Slow Regard of Silent Things. For one, it is a short novella weighing in at 176 pages; for another, it’s not your usual story with a beginning, middle and an end, but more of a peeking into an incredible character’s life and world. Readers of Rothfuss are already familiar with the special and unique character, Auri, and in this slim volume they get to see her in daily life, in her familiar abode deep below the university and the world we have come to know. Auri is very particular about the place she lives, naming each of the areas and rooms in her own special way. She knows that she will have a special guest coming to see her in a few days and wants everything to be as perfect as possible for Kvothe. This is the story of Auri preparing herself and her home for a visitor, of how she finds him a special gift, of how she gets everything ready, and how everything needs to be just perfect. It is also the story of this truly unique person and how she functions in everyday life, how she sees the world and acts and reacts in it. Rothfuss does a splendid job of creating a definitive voice for Auri and the reader really gets to understand her with this point of view, whether it’s about getting her bed ready, traveling to new and scary places, or how she goes about making a new candle. To some it might seem like a dull read, but told in this captivating voice, it is a wonderful story that whisks you away to this special world. In the afterword Rothfuss admits to feeling very nervous about releasing this story; how it was something that came to him and was very personal about a character who is clearly very special, and how he had little intention of ever publishing it, but was convinced by his editor and agent and friends. It is a story he really wanted to write, and unsurprisingly it turns out be something wonderful and shows a different side to this epic fantasy writer. To purchase a copy of The Slow Regard of Silent Things from Bookshop Santa Cruz, and help support BookBanter, click HERE. 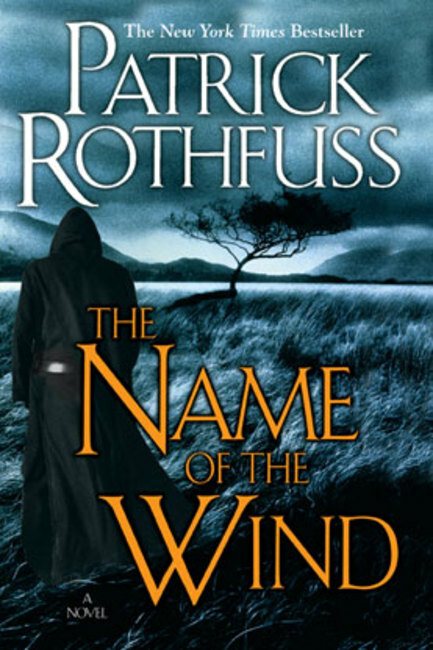 The Name of the Wind, the first of the Kingkiller Chronicles by Patrick Rothfuss, showed itself to the world in 2007. It was a story that seemed to have every trope and cliché that epic fantasy is expected to have from an old innkeeper named Kvothe telling his tales of yore, to a magician learning the ways of his craft at a magician’s school . . .
. . . And yet there were also facets of the book that made it fascinating and quickly a bestseller, from Kvothe’s abilities and talents as a musician, to some of the amazing characters and friends he has gotten to know, to the magic itself, as they consider themselves arcanists and the magic feels more like a form of science. 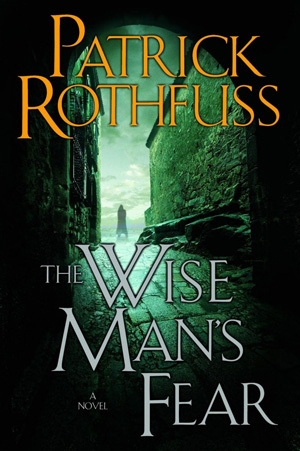 Rothfuss took his time with the second book in the trilogy, The Wise Man’s Fear, which was released in 2011, almost a thousand pages long. But by the end of the book, there still seems too much story to tell. Rothfuss maintains that it will only be a trilogy and is hard at work now on the final book, with the planned title of The Doors of Stone, with no known release date. Therefore readers looking for a good new series can take their time with the first two books, as the final volume likely won’t see a release date until possibly late 2013, if not 2014. Kvothe begins his story as a young boy in a family of musicians and soon reveals his incredible talent with the lute and singing, following in the family tradition. While mastering these talents a member of the University joins the troop and begins teaching Kvothe a material and science based form of magic, as well as the secret of naming, creating a drive in Kvothe to discover the Name of the Wind. At the same time, his father Arliden is composing a song about the Chandrian, a mythical race of evil beings who may or may not exist. This is soon proven when the Chandrian find the troop and slaughter them all. Kvothe is the only one to survive, hiding in the woods. He spends his next three years eking out a living begging and scratching by on the streets of Tarbean, until his interest in magic and study is reignited once more by a storyteller. Using his experience in bargaining and negotiating to survive, Kvothe gets himself into University where he leans all he can while trying to make enough money to cover the tuition by playing and singing. It is while playing he is reunited with an old friend, Denna, who he is very taken with. During his studies, he also begins research on the Chandrian to avenge the death of his parents. The book comes to a close as Kvothe investigates a place of death and destruction where a wedding was abruptly brought to an end by the Chandrian, coming face to face with a drug-addicted dragon. At the heart of The Name of the Wind are a lot of almost clichés one would expect with an epic fantasy novel, but at the same time there are a lot of new, refreshing and completely different ideas and plots. The magic of this world – unlike that of say Harry Potter – is one of balance, based in science with quantities and a variety of materials; it is a type of magic that at times seems quite realistic and believable. 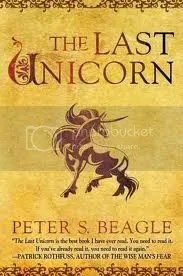 The world has familiar places but with unique situations and events involving some strong characters and unusual creatures that keep the reader interested. By the end of the book, the reader has become quite attached to this world and its people, wanting more stories and tales from Kvothe the innkeeper, but alas they must wait until Wise Man’s Fear, due March 2011, hopefully without delay. Readers are returned first to Kote at the Waystone Inn with his friend and apprentice, Bast. A new day begins, after the stories and surprising events of the one before. Chronicler sits ready to record the story, while Kote has already been up many hours, preparing fresh cider and newly baked bread. And so Kote continues the story of his life, the story of Kvothe the arcanist. The sixteen year-old continues his studies at the University, struggling to get by. He has spent his recently acquired monies on a new lute and now has little to show for it, but the instrument is an investment. Now raised to the next level of arcanist, Re’lar, his tuition is considerably higher, and his must borrow money to pay for it. Fortunately, he has his incredible talent as a musician and singer, and is able to make some money this way through a clever scheme at the inns. Then there is the Fishery, where all manner of arcana are made. Kvothe has spent previous terms learning and inventing simple items such as sympathy lamps that bring in a decent amount of money, but this term he is challenged to create something truly unique; it will take him many months, but the result will fetch a high price. Kvothe is also finally granted access to the priceless Archives once more, and after learning how to travel its complex, labyrinthine halls, corridors and stacks; begins his incessant research on the unknown Chandrian, for they are the ones who murdered his family and friends. Meanwhile, Kvothe’s relationship with Deanna continues to go nowhere fast, as he does all he can to make her happy and feel special . . . everything that is except confess his love for her. He even breaks into the rooms of his mortal enemy to steal back Deanna’s ring and proceeds to get himself into a whole mess of trouble. In this thrilling and worthy sequel, Rothfuss does an excellent job of balancing the familiar of The Name of the Wind with plenty of new and fascinating material, furthering the complexity and interest of the world, its people, and its varied cultures and ways. While the heavy tome could’ve stood to lose a few pages in editing, readers will no doubt be delighted with its length and depth. To many – as with this reviewer – this book will exceed their expectations and prove to be an even better episode in the Kingkiller Chronicles than the previous one. 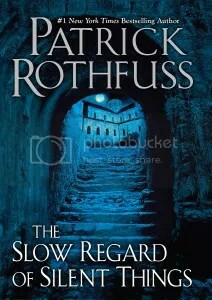 Patrick Rothfuss has proven in Wise Man’s Fear that he can deliver the goods, and while he may need to take his time to get the writing done, the result is an epic giant in the world of fantasy that will be remembered for a long time. Books come in all shapes and sizes and most importantly, in various lengths. 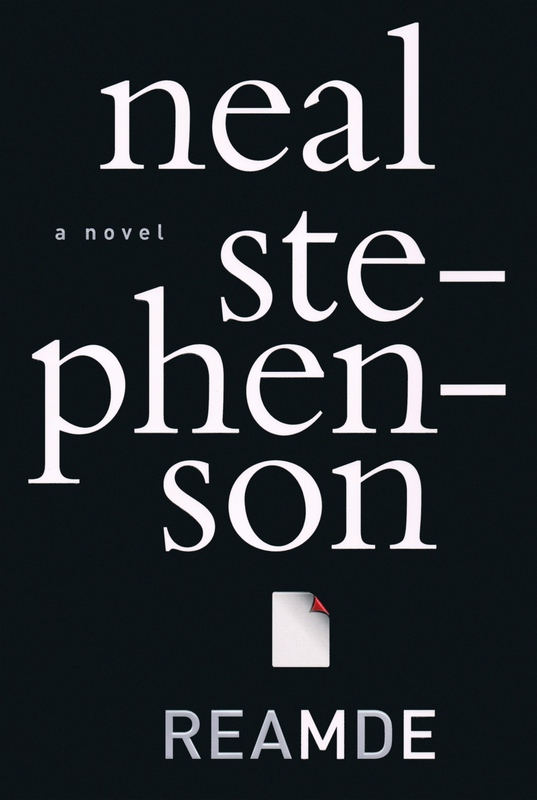 A variety of authors write and publish a variety books with a variety of page numbers. Some are small and seemingly pathetic 200-page novellas, some are your average 300-400 page-turners, and then there are those special authors that like to write those 800-1000 page behemoths. Now, mind you, books will vary in length depending on genre: children’s books will usually be within that 200-page mark, young adult pushes it to 300 (unless you’re Harry Potter! ), mysteries tend to be in the 300-400 page range, and a number of fantasy authors like to write those really long ones. This column is about those special heavy tomes. In the last couple of years there have been a number of these long books published by a variety of authors in various genres, and I’ve read a fair number of them and they’ve all been pretty good. So if you’re looking for that long 800-1000 pager to get sucked into, check out the titles below. Jake Epping is a thirty-five year old high school teacher living in Lisbon Falls, Maine. He enjoys his simple life, conveying to kids not just the beauty of the English language, but discussing and enlightening the teenagers with some of the great works of literature. 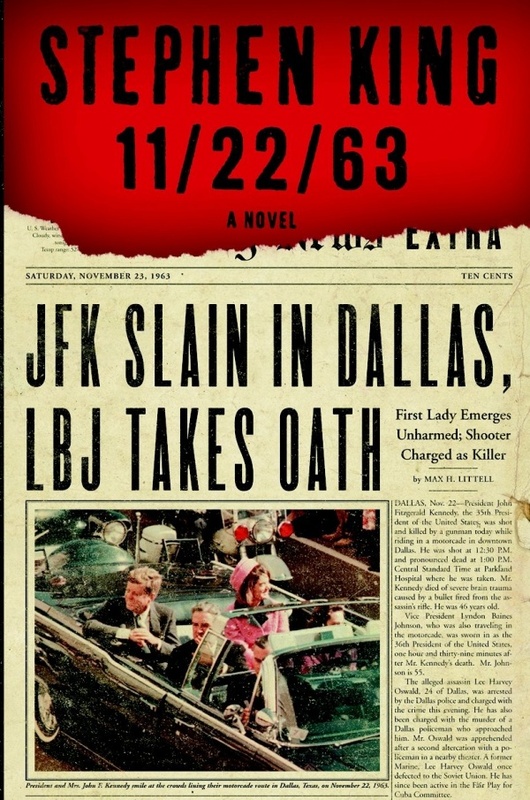 In the opening of 11/22/63, the reader learns about Harry Dunning’s past life. Dunning is an adult student who got his high school diploma a while ago; Jake still has that very special essay Dunning wrote. It wasn’t grammatically correct, and was filled with spelling errors; but it was also the story of the day Dunning’s father came home drunk, when he was a child, and brutally murdered his mother, sister and brother with a hammer, while Dunning barely made it out alive with his life, suffering a smashed leg. It was a moving story that Jake has never forgotten. He enjoys his days after school going to see his friend Al, who owns a local diner, where he enjoys one of the most delicious burgers on the planet, and the amazing thing about it is he hasn’t raised his prices in decades. A customer can still enjoy a burger with fries for the ridiculously cheap price of under $3. It seems like something Jake should be suspicious about, but the burgers taste too damn good. The following day Jake meets up with Al again and finds him to be a changed man, incredibly aged overnight and he looks like he’s dying; that’s when Al tells him his story. In the back of his diner is a portal to 1958. Al himself has been back a number of times, and each time he comes back through it to the present, everything resets. He’s narrowed everything down to one important event he believes will change everything: the assassination of JFK. He tried once, spending five years back then, but it didn’t work. Now it’s up to Jake. And just to prove that anything is possible, Jake’s first mission is going to be to go back and stop Dunning’s father from killing his family. Readers are returned first to Kote at the Waystone Inn with his friend and apprentice, Bast. A new day begins, after the stories and surprising events of the one before. Chronicler sits ready to record the story, while Kote has already been up many hours, preparing fresh cider and newly baked bread. And so Kote continues the story of his life, the story of Kvothe the arcanist. The sixteen year-old continues his studies at the University, struggling to get by. He has spent his recently acquired monies on a new lute and now has little to show for it, but the instrument is an investment. Now raised to the next level of arcanist, Re’lar, his tuition is considerably higher, and his must borrow money to pay for it. Fortunately, he has his incredible talent as a musician and singer, and is able to make some money this way through a clever scheme at the inns. Then there is the Fishery, where all manner of arcana are made. Kvothe has spent previous terms learning and inventing simple items such as sympathy lamps that bring in a decent amount of money, but this term he is challenged to create something truly unique; it will take him many months, but the result will fetch a high price. Kvothe is also finally granted access to the priceless Archives once more, and after learning how to travel its complex, labyrinthine halls, corridors and stacks; begins his incessant research on the unknown Chandrian, for they are the ones who murdered his family and friends. Meanwhile, Kvothe’s relationship with Deanna continues to go nowhere fast, as he does all he can to make her happy and feel special . . . everything that is except confess his love for her. He even breaks into the rooms of his mortal enemy to steal back Deanna’s ring and proceeds to get himself into a whole mess of trouble. At the end of the term, Kvothe seems to have everything in order, but has a couple of options: he can continue with his studies the following the semester, and risk having the gossip of his involvement jeopardize his studies; or he can leave town and try something different for a while. Fortunately at that moment, there is a rich noble from Vintas looking to woo a certain lady and needs one skilled with words. 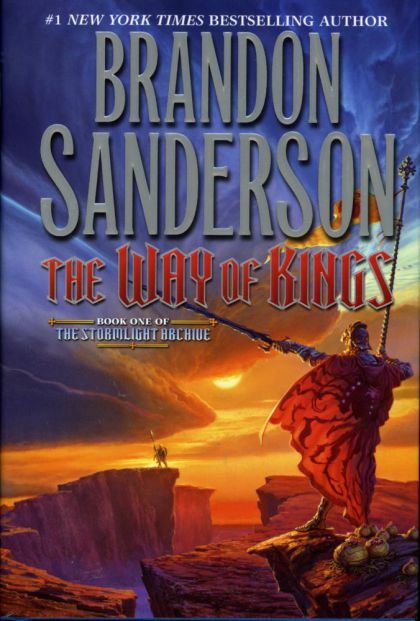 So begins the second half of the book, as Kvothe is soon on his way and finds himself involved in the noble courts, as a different world is revealed to the reader of manners and ways and courtly intrigue. Kvothe is also employed into a gang to stop a band of bandits terrorizing the tax collectors. In this gang he befriends a unique man and seeks to learn his ways and culture. The question is whether he can understand and learn this man’s language, as well as stop these bandits once and for all. Meanwhile, in the back of his mind, Kvothe wonders and hopes if the rich noble who has employed him may wish to take him on permanently as his patron. In the North, around the Wall, King Stannis Baratheon seems to spend a lot of time trying to decide what to do with no real power or army to use, while listening to Lady Melisandre, who continues to spout enigmatic prophecies that make little sense; yet readers do get to enjoy a chapter from her viewpoint for the first time. Meanwhile, Jon Snow is elected as the 998th Lord Commander of the Night’s Watch, as he must deal with not just enemies beyond the Wall, but also amongst the very men he leads and is in charge of. He works with the wildlings, bringing them south of the wall to bolster his forces in preparation for a possible attack from the Others; it seems to be an interesting act of diplomacy, but goes on for far too many pages, with little action or continuing story taking place. Much of the rest of the book takes place to the far East. 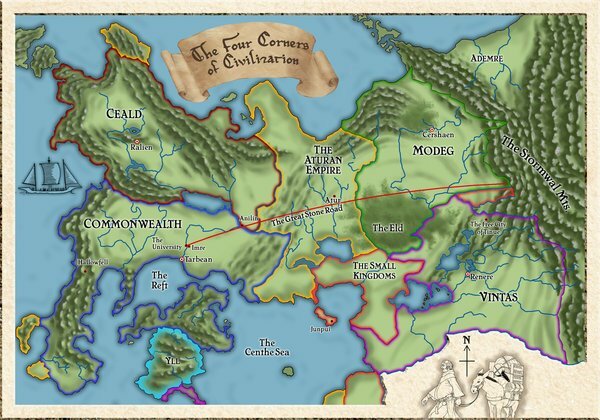 Martin has provided a couple of new maps, but nothing so clearly defined and comprehensible as the great continent of Westeros. Tyrion flees to Pentos, drowning himself in wine. He is forced to join with a group traveling to Meereen, along with the apparently not so dead prince Aegon Targaryen. Tyrion – as he always does – manages to get involved in a whole variety of adventures, including the meeting of another dwarf, and a female no less! Daenerys is the character that seems most put through the ringer in this book; much like Cercei was in A Feast for Crows. She is no longer the tough, proud, defiant woman that everyone feared, and not just because she has three growing dragons. Having conquered Meereen, she should be the unstoppable, unquestionable queen that she is, and yet insurrection is afoot and Daenerys cannot seem to decide what to do; perhaps it is because she has become obsessed and besotted with one of her soldiers and seems to be able to think of little else when he is nearby, and yet he is of lower class and cannot possibly be her husband. The black dragon, Drogon, meanwhile is running rampant through the countryside as growing “teenage” dragons do, and Daenerys has no idea how to control him. Finally there is Quentyn Martell, Prince of Dorne, whose story comes from nowhere as we follow his trek across the lands to Meereen, where he hopes to woo Daenerys by enslaving one of her dragons. It does not end well for him. 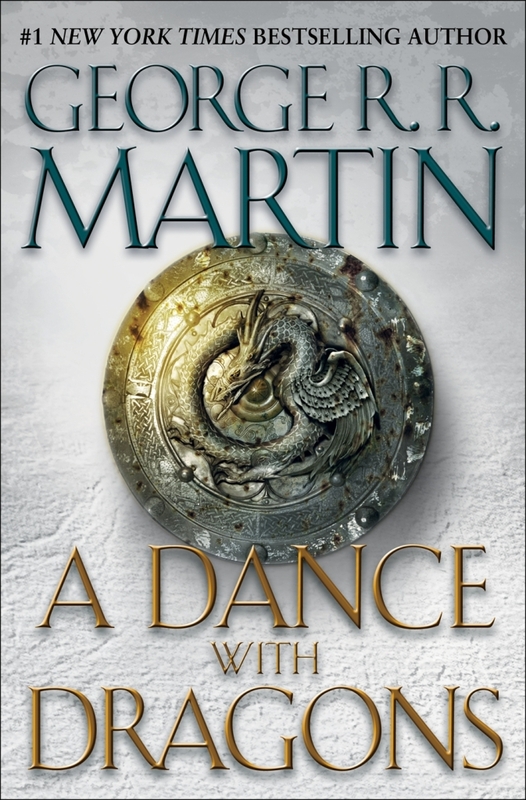 Interspersed throughout the lengthy book are other POV chapters from the likes of Bran Stark, Davos Seaworth, Reek (who is in fact the very not dead Theon Greyjoy), Arya Stark, Victarion Greyjoy, as well as some surprise cameos from Jaime and Cercei Lannister. Richard Forthrast is our approaching-middle-age hero who is one of the big brains behind the multi-billion dollar MMO, T’Rain, which is known throughout the world, whether you’re a rich white kid who likes to pretend he’s an elf, or a gold farmer somewhere in Asia looking to make some good money. T’Rain was in fact created with that in mind – Richard’s past is not a completely clean one by any means – to be open and available and possibly profitable to just about anyone on the planet with a good Internet connection. And then a very specific virus attacks T’Rain, known as Reamde, which immediately begins making a lot of money for its creators and screwing over a lot of the regular players. Richard and his team of brainiacs are now working round the clock trying to bring a stop to this. Reamde begins like an expected Stephenson book with computers and an MMO, but then makes a change to a Tom Clancy-style thriller, as the characters travel around the world, getting involved in elaborate shootouts in distant countries. The ongoing saga eventually leads back to Seattle and the northwest, passing into Canada, where the novel began, pulling Richard Forthrast into the mix. Our story focuses on two characters. One is Kaladin, a young man in his twenties who has seen much of life already. Raised by his surgeon father to become a brilliant doctor, he instead turns to the life of a warrior, with hopes of getting his hands on a Shardblade, and soon sees his fair share of death and bloodshed. Now he is a slave, for reasons unknown, with little to hope for in life. He soon becomes a member of the bridge crew, a group of slaves whose job it is to carry a giant, heavy bridge across great distances and to lay it across the chasms to allow the soldiers to cross and attack the enemy. Kaladin becomes part of bridge team four, which is renowned for losing the most lives each time it races into battle. Kaladin finds a unique luck on his side, as he manages to continue to survive, and then chooses to work for his team, train them, create survival tactics for them, and he discovers something he thought he’d lost for good: hope and his will to live. Then there is Shallan, a young woman whose family has fallen on hard times after the death of their father. The family is in possession of a Soulcaster, a unique magical device that can essentially create just about anything out of nothing, only now it is broken. However, Shallan has a plan: to become the ward and student for Jasnah Kolin, sister of King Elhokar of Althekar, with plans to replace Jasnah’s Soulcaster with her own; her only problem is she has no idea how to use it. A number of interludes throughout the book help to introduce some minor characters to explore some more of this overwhelming world, such as Szeth-son-son-Vallano, who is an assassin from the land of Shinovar, possessing a unique magic to flip gravity around. And then there are the spren, which are spirits that seem to be caused by or drawn to specific happenstances and emotions, such as fear, pain, music, rot, and glory to name a few. Little is known or understood of the spren, other than they exist, while Kaladin finds himself befriending a specific spren that seems to be evolving. Imagine the quintessential American town – Chester Mills, Maine – where life has rolled along at its own sedate pace since the beginning of time; it is a simple life that many envy and yearn for, while others disregard and ridicule. Now imagine that an invisible dome forms around the boundaries of the town, trapping everyone and everything inside, as well as preventing anyone and anything from entering; all that is able to pass through is air since it’s composed of tiny molecules. From now on the humble citizens of Chester Mills must live off of whatever supplies and reserves they have. Then add some classic, unique and outright bizarre Stephen King characters; you’ve got yourself a very special story, weighing in at over a thousand pages. There’s Dale Barbara, an ex-military man who came to Chester Mills to get away from everything, working as a cook at Sweetbriar Rose. 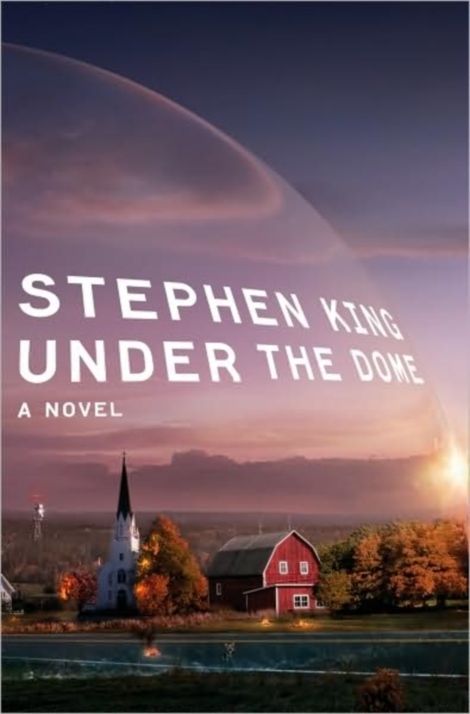 After getting into a serious fight with the town bullies – who include the sheriff’s son – he’s all set to quit town, but the dome comes down before he’s able to make his escape. Now he’s trapped inside with a whole mess of people who hate his guts and would sooner see him dead. Jim Rennie – known as “Big Jim – is the town’s Second Selectman, a member of the three-member team that makes up the governing body for Chester Mills. Only Big Jim has everyone in his pocket, owning him favors, and he’s also been running an underground scheme that’s making him a very rich man. He thrives on power and being in charge, and when the dome comes down he thinks it’s the greatest thing in the world; his calling from God to take charge once and for all. Julia Shumway is the editor, publisher, and devout writer for her very own Chester Mill’s Democrat, continuing the family business, and always looking for a great story and a way to reveal the true, seedy underbelly of Chester Mills that she knows exists. After Dome Day, she knows Jim Rennie is up to something and will stop at nothing to expose him for the fraud he is. And 13-year-old Joe McClatchey, a good-looking nerd with all the answers, but he also has some important ideas about what exactly the dome is and what might’ve made it happen. While the town slowly devolves into pandemonium, he spends his time trying to find out the cause of it all. Stephen King conceived this book, originally titled Cannibals, early on in his career, but was never satisfied with the story. Now he has delivered the weighty tome of Under the Dome, where lines will be drawn, sides declared, alliances forged, and enemies and allies made. Many people will die – which is no surprise for a King novel – but the wild thrill ride will keep you addictively reading, aching to find out how it all ends.